A floral tapestry showing a vase of roses on a warm beige background. These roses are multipetalled and include white, pink and deep mauve. There are a few roses that have fallen onto the table below. 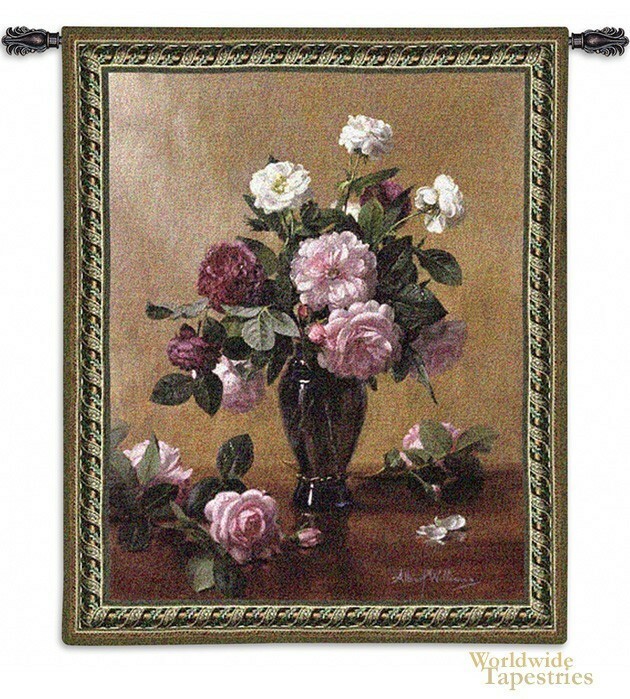 This tapestry is based on a work by Albert Williams who specialises in the creation of works studying flowers and still lifes. This tapestry "Cherished Bliss" is backed with lining and has a tunnel for easy hanging. Note: tapestry rod and tassels, where pictured, are purchased separately.